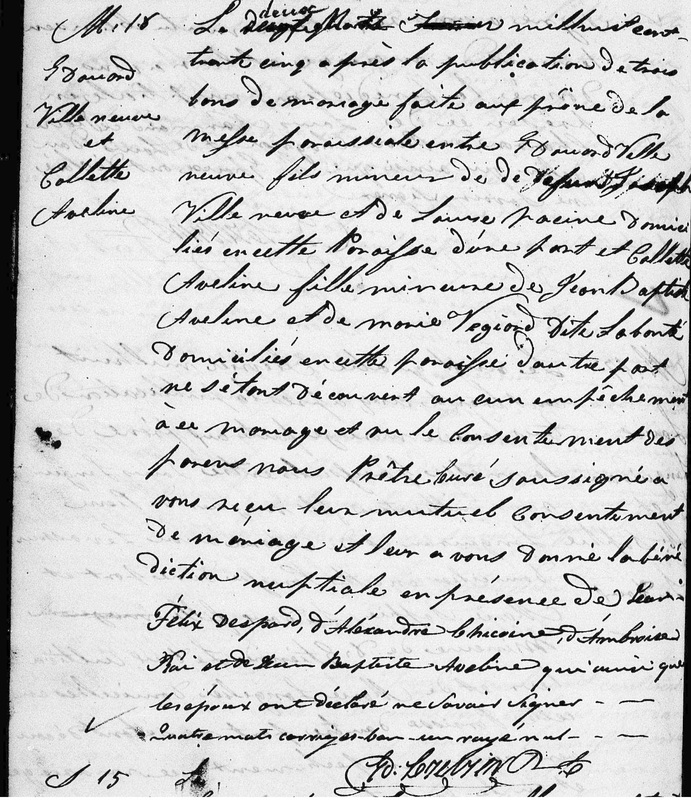 This is the marriage record I found for Édouard Villeneuve’s and Colette Aveline’s wedding with the information Susan gave me. The surname Aveline was the key! We now have the parents’ names. Joseph Villeneuve and Marie-Louise Racine and Jean-Baptiste Aveline and Marie Végiard dit Labonté. This is a close-up of the marriage record. Both the groom and the bride are minors. Interesting because we don’t have the birthdates of Edward Newcity and Calista Aveline. They were married on March 2, 1835 at Notre-Dame-du-Rosaire church in St-Hyacinthe in Quebec. Both are from this parish. Next time, the original text with the translation. 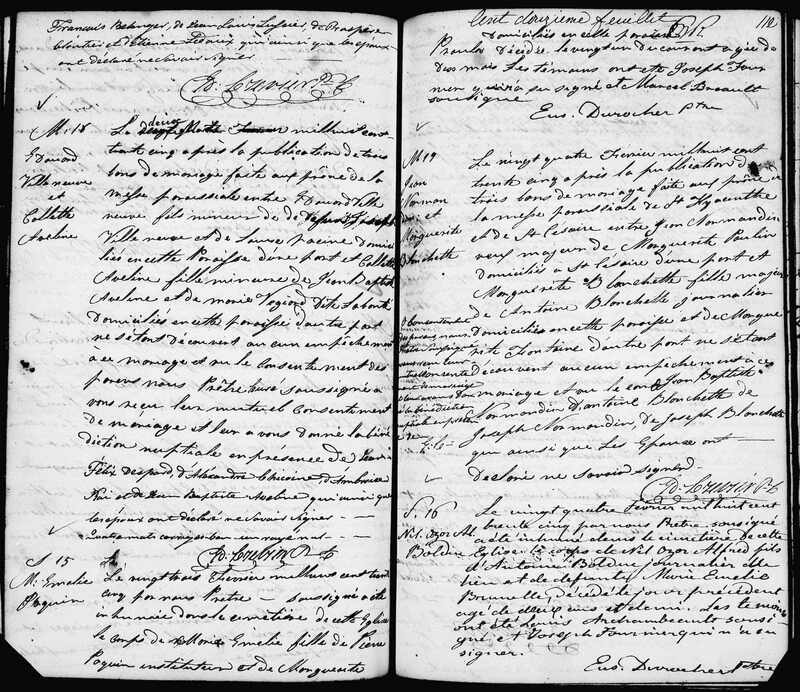 Before I do, you can click here for information about learning how to read parish records written in French. I just copied it for the sake of preserving it. If you’re looking for Roman Catholic records in the Ottawa Valley area, you’re almost certain to run into some French entries in the parish registers. But no worries, and please do not panic. Even if you don’t speak a word of French beyond “bonjour” and “merci beaucoup,” you canread and understand the relevant records. I found more of Colette’s siblings. There are on my Ancestry site. Adélaïde Aveline married Joseph Villeneuve in 1833. He was Édouard’s brother. I also have added four sisters. Also Jean-Baptiste Aveline remarried in 1840. He was a widower. He married a third time in 1848.